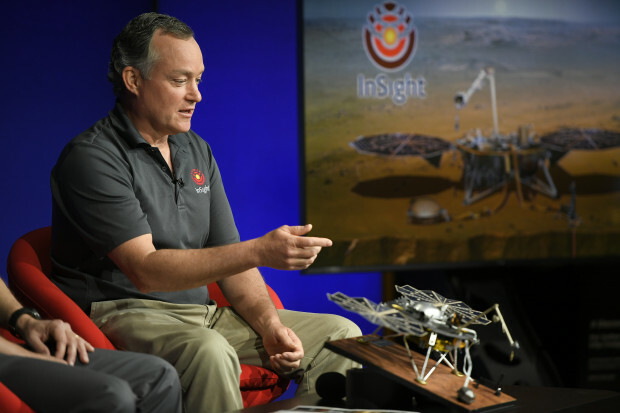 The Mars Society is pleased to announce that Tom Hoffman, Project Manager of the upcoming Mars InSight lander mission, will address the 21st Annual International Mars Society Convention, scheduled for August 23-26, 2018 at the Pasadena Convention Center (Pasadena, CA). With a launch window opening on May 5th and a scheduled landing on the Red Planet in late November, Mars InSight will examine the deep interior of Mars with the goal of helping us understand how terrestrial planets - including Earth - formed and evolved. A 30-year veteran at the Jet Propulsion Laboratory, Mr. Hoffman has supported a number of major flight projects, including working on software for the Voyager spacecraft’s encounter with Neptune, testing computer hardware for the Cassini mission to Saturn, participating in the STARDUST mission to the WILD-2 comet as a member of the project systems engineering team, contributing to the Mars rovers (Spirit and Opportunity) as Avionics Systems Manager and serving as Deputy Project Manager for the GRAIL mission to the Moon. Mr. Hoffman earned a Master’s degree from the University of Southern California in Computer Engineering and a Bachelor’s degree from the University of California Berkeley in Electrical Engineering and Computer Science. For more details about the 2018 International Mars Society Convention, including online registration and call for papers, please visit our web site (www.marssociety.org). A list of confirmed speakers and a tentative program itinerary will be posted on the web site in the near future.